Our family run Driving School has been established since 2003 and we are always looking to train new customers to become driving instructors and if they choose to do so join our school (Jerry Holmes Driving School) or you may wish to start up your own business. Jerry takes pride in teaching new Customers to become a driving instructor. As Instructor training is far different to teaching Learner drivers Jerry became an instructor trainer in 2015 after taking a 5 day course with one of the best leading trainers in the country (Phil Hurst North Yorkshire) I have also learned from Phil Hurst valuable knowledge of the standard check test what we all have to take. 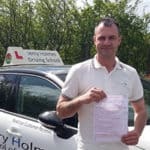 Also still attend training courses so Jerry can thrive to be a high standard Instructor And pass a high quality training to all the potential driving instructors to teach and his own instructors benefit from the training that Jerry does throughout the years he has done and continues to do so. 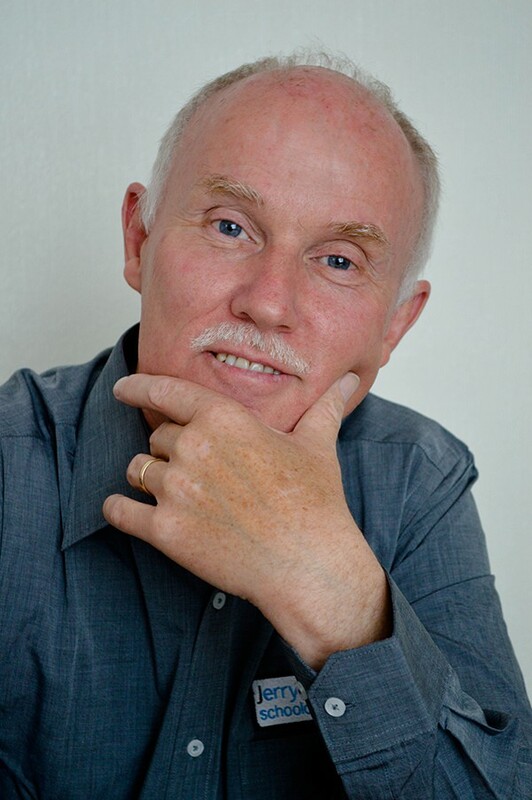 Since I have become a driving instructor there has been so many changes in the industry and unless you are willing to seek that new knowledge you will miss out on valuable information and techniques to pass onto your students. Being an Instructor trainer is different to being an Instructor and teaching learners as it is important to pass the right knowledge on as you will be passing this onto your students as in the long run they need to be taught the right techniques and to be safe on the road for their passengers and other road users. Some instructors teach other potential clients to become instructors without taking the necessary training and just relying on what they were taught when they were training. This is why it is vital to pass on the basics so that in the end of your course you become a professional driving instructor. Remember that you are spending a lot of money and changing your career to a better one. What do we offer in the training course? You are not just investing in a training package; you are investing in a new career, a new lifestyle and one of the most successful packages anywhere in the local area. 6 Hours of theory Preparation In car sessions and books to bring the theory to life. 12 Hours of Part Two Preparation. 40 Hours of Part Three Preparation. 20 Hours on your Trainee License. Become a member of our driving school (Jerry Holmes Driving School) if you wish to. We can arrange 4 different payments methods to help spread the cost of training. I had done a search in my local area and done some training but I just didn’t understand completely what was expected of me. I tried some other local instructors who offered instructor training but didn’t feel I could learn from them. Until I met Jerry, I moved forward under his instruction. He did not want me to have any unnecessary lessons and after the initial assessment drive, we moved forward at a good pace, resulting in me passing all my Tests on the first attempt. We had already discussed becoming a franchisee and so with great pleasure I handed in my notice at my previous job and launched into becoming self-employed! From my initial Meeting, I was struck by how genuine he was. I asked him some quite straight forward questions; I was struck by his honesty. I’ve always wanted to be a driving instructor. In reality, I have never had a lack of work since joining and the income has been steady and not a problem in any way. He feeds me each month (although this has never been a problem), it knows when I’m out there doing the job, that his support on any issues I am experiencing is only a phone call away. He will always support and advise and even deal with difficult situations if necessary. I think I would have struggled in a few situations if I hadn’t had the back up and support. I would like to thank Jerry Holmes my Instructor Trainer for getting me through my part three test on my first time especially as it was at the end of my two years training and my first attempt at part three. Before I met Jerry I previously joined up with a local driving school in my area. Over a period of time of training I felt wasn’t getting the training and information to help me progress to achieve my dream as a driving instructor so I started to seek other trainers in my local area again I wasn’t happy with what they were telling me and I felt the interviews didn’t go well but I was advised by other driving instructors in the area to see Jerry at Jerry Holmes Driving School as he has been recommended by lots of different driving instructors for his training so I arranged to meet Jerry on a meeting and I was so surprised how professional his courses were . Everything was laid out from part 1, 2 and 3 and his contracts were simple and nothing like I’ve experienced with another trainers in this area. I booked my first lesson with Jerry and I learnt more in 2 hours than what I have done in all my past training and now I wish I had started my training at the beginning with him. Everything was in order and the paperwork to go with the training was excellent. 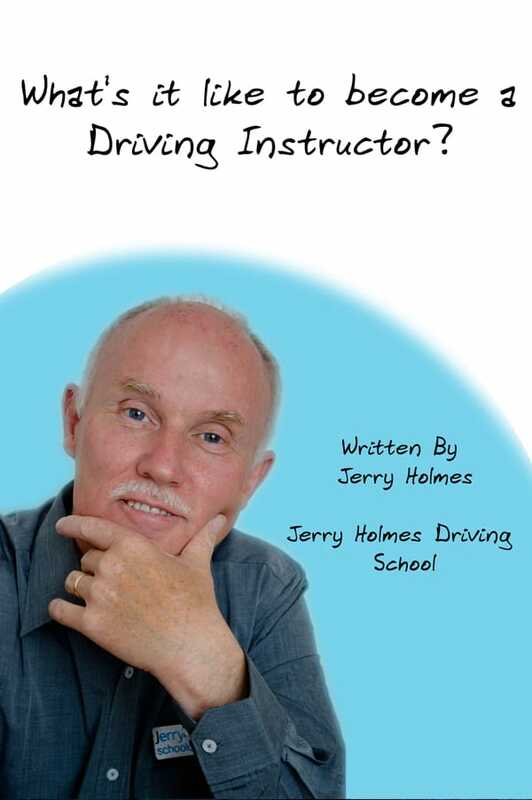 I recommend anyone who wants to become a driving instructor or is not happy with their driving to contact Jerry as I feel without Jerry’s help would not be able to complete this course. I am now proud to be a driving instructor in my local area in Herne Bay. If you would like to receive a free copy of "What's it like to become a Driving Instructor? ", please complete the form below.